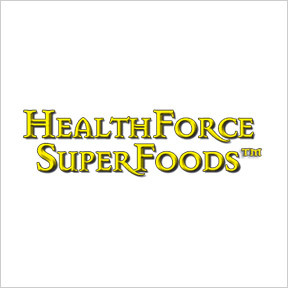 Professional Supplement Center now carries HealthForce SuperFoods™, a line of food-based, 100% gluten free, vegan products formulated to help people heal and realize their full health potential. 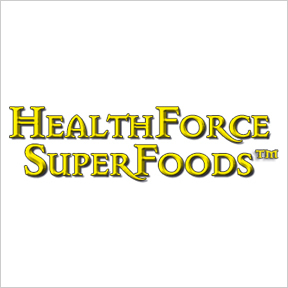 Developed by naturopath and herbal medicine researcher Dr. Jameth Sheridan, these cutting edge, energetically enhanced products are designed to provide optimal nutritive support with superfoods, herbs and natural ingredients. Proprietary TruGanic™ standards ensure identity, purity, strength and composition, and verify products are 100% free of heavy metals, pesticides, insecticides, herbicides, irradiation, GMO’s, fillers, synthetics, flow agents and excipients. Products are manufactured according to Current Good Manufacturing Practices (cGMPs) in a Certified Organic, Certified Kosher, NSF audited, registered FDA compliant facility. All raw materials and finished products are tested for identity, micro-contamination, and heavy metals. Suppliers undergo extensive vetting and must be qualified by third party Certificate of Analysis testing. The production facility utilizes 100% non-toxic, organic, ecofriendly and biodegradable cleaning products. All labels and marketing materials are printed on 100% post-consumer recycled paper. Their fully reusable and recyclable amber glass packaging helps to maintain potency and purity. Liver Rescue™: This product provides beneficial levels of powerful liver supportive herbs known to work synergistically to support liver function and detoxification. Liver Rescue™ contains only milk thistle, dandelion root, chanca piedra, and turmeric. No fillers, binders, flow agents. Vegan, kosher, gluten-free, and TruGanic™. Nopal Blood Sugar™: Traditionally used for thousands of years as a wellness tonic, nopal cactus, is high in fiber, antioxidants, phytonutrients, vitamins and minerals. Also known as prickly pear cactus, this pure, whole leaf, highly nutritious formula provides support for blood sugar balance, as well as healthy bowel and immune function. Gluten free, kosher Non-GMO, vegan formulation. Scram™: This proprietary herbal blend features time honored cleansing extracts of clove, black walnut, and wormwood in support of healthy intestinal microbial balance. Milk thistle seed extract and chanca piedra whole herb extract are added for liver support. Gluten free, kosher, Non-GMO vegan formulation. Digestion Enhancement Enzymes™: This comprehensive and potent blend of plant-based vegan enzymes is formulated to optimize digestion, assimilation and utilization of all foods and nutrients. Gluten free, kosher, Non-GMO vegan formulation.